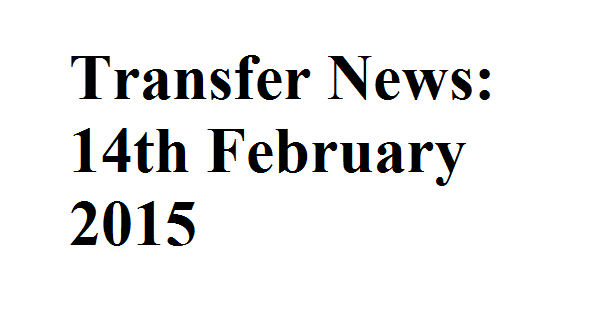 Transfer News: 14th February 2015 Danny Ings on Real Sociedad’s radar, Inter Milan want Toure, Manchester United keen on Cavani and PSG to sign Arsenal target Dani Alves. Danny Ings on Real Sociedad’s radar, Inter Milan want Yaya Toure, Manchester United keen on Edinson Cavani and PSG to sign Arsenal target Dani Alves. French giants Paris Saint-Germain are likely to seal a free move of Dani Alves from Barcelona in the summer, as per Daily Express. Manchester United and Arsenal were also linked with the Brazilian star. Atletico Madrid defender Miranda has refused to rule out the reports linking him with a summer move to Premier League. Manchester United have been targeting him for the past few months. Burnley 22-year-old attacker Danny Ings is being targeted by La liga side Real Sociedad for the possible summer move, as per The Sun. Liverpool are also targeting the 22-year-old striker. Serie A side Inter Milan are keeping tabs on Manchester City star Yaya Toure, according to Daily Mirror. The former Barcelona midfielder has recently returned after winning the African Cup of Nations with Ivory Coast. Manchester United are weighing up a simmer move for Paris Saint-Germain attacker Edinson Cavani, as per Daily Star. The 27-year-old would cost around £40million.